This panel examines the formation, implementation and interaction of global and local bodies of ecological knowledge at different commodity frontiers in modern Africa, paying special attention to agriculture and animal husbandry. This panel explores the role knowledge of ecological landscapes played in the creation of commodity frontiers in modern Africa, with special attention to agriculture and animal husbandry. In recent decades, several historians and social scientists have used the concept of 'commodity frontiers' to study the expansion of global capitalism during the last 500 years. These scholars especially examine how, at the margins of an expanding world economy, land, labour and capital were reallocated to transform available resources into commodities for global markets. But commodity production also depended on intimate knowledge of the natural landscape, as local environments not only offered commercial opportunities but also posed constraints related to climate, diseases, and soil quality. Moreover, human intervention in the landscape often created new constraints. Because of these environmental challenges, commodity frontiers were sites of experimentation, adaptation and constant innovation. Focussing on the period after 1800, when Africa's integration in the global economy accelerated, this panel examines how knowledge of local ecologies was generated in and outside the continent and implemented to produce goods for global markets, especially cash crops and livestock. The panel thus aims to highlight the agency of African farmers and cattle-herders as much as the expertise of colonial botanists, agronomists, and veterinary scientists. 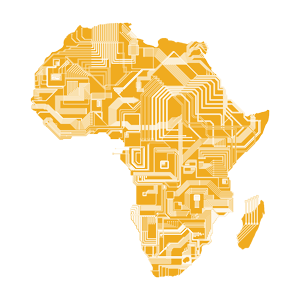 We welcome contributions from all disciplines shedding light on the different local and global bodies of knowledge underpinning the expansion of African commodity frontiers in the modern era.